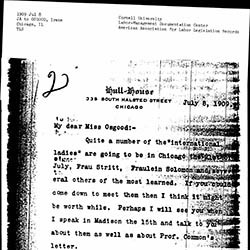 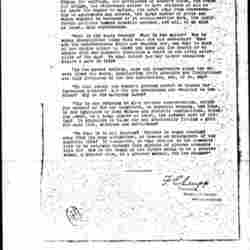 Addams invites Osgood to attend a meeting with some of the women of the International Council of Women in Chicago. 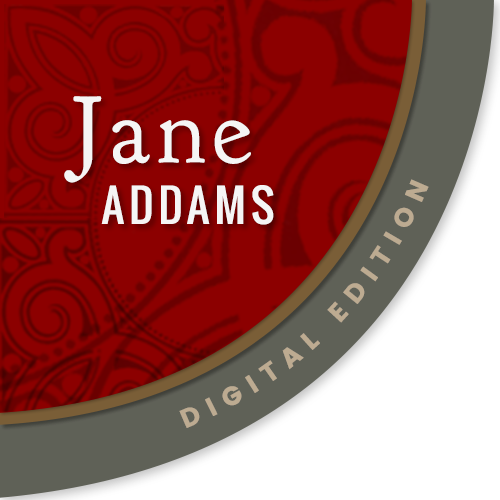 Bok's questions for a series of interviews with Jane Addams and other prominent women are intended to find an explanation for women's "unrest" and the factors that have led to their discontent. 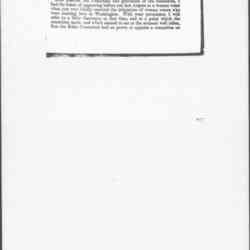 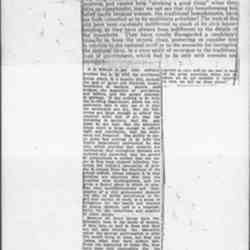 Testimony of Addams and Anna Shaw before a Congressional Committee on Rules regarding woman's suffrage. 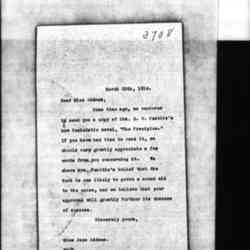 Houghton Mifflin Company sends Addams a copy of The Precipice by Mrs. E. W. Peattie and hope that Addams' words of approval will help the book sell more copies. 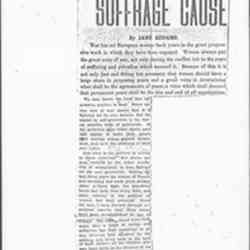 Addams details the many reasons why it is important that women be given the right to vote, and of how the suffrage movement is not just found in Western nations, but globally. 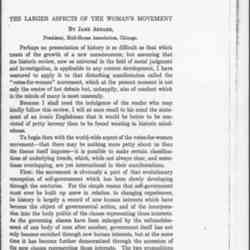 Addams, argues for woman suffrage claiming that municipal matters are directly related to their traditional responsibilities. 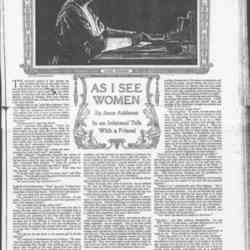 Addams argues the point that women need the right to vote in all national affairs to force the issue of peace, and to help prevent future wars from happening.